The Le Sigh: Premiere: Future of What - "Choose Existing"
Premiere: Future of What - "Choose Existing"
Future of What's new video is for all of the cat lovers out there. 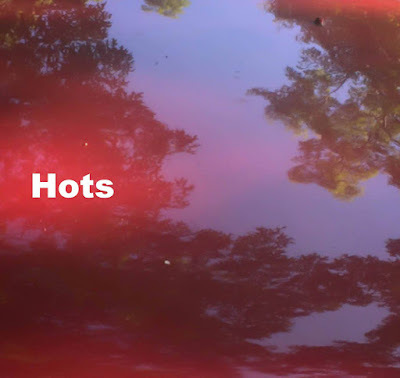 If you're still looking for the perfect soundtrack for these final fall days before winter comes, look no further than Brooklyn-based trio Future of What's Hots EP. The album dropped a few months ago and could technically be considered low-key "summer jams" (especially with its title). But I've found the EP is also fitting for walks home from the train while wrapped in a cape and trying not to bob my head too much so I can avoid freaking out my neighbors. Something about their dreamy synthpop and singer Blair Gimma's soothing yet intoxicating voice makes wandering through the dirty streets of New York a little bit more magical. Today we're thrilled to premiere the new video for the first track off Hots, "Choose Existing". The two feline subjects in the short video are almost human-like while they watch TV and Youtube videos of other cats (so meta). But before long, they get tired of the confines of the indoors and break free, where their futures are unknown. Check it out below and read about the making of the video, which involves the oldest house in New York City. "Our great friend Daniel Fetherston made this video. We all felt blessed that the cats let us into their home for the shoot--the Wyckoff Farmhouse, New York City's oldest house. Built in the 1650s, it's located in East Flatbush, Brooklyn, and there's a McDonald's a few houses over. Anyone in showbiz can tell you that working with animals is notoriously difficult, but Dan said that the principal actors (Dik-Dik and Dottie) were a pleasure to work with. "Choose Existing" is the first song on our recently released Hots EP." Listen to Future of What on Soundcloud.